...and look out the back window at the right time. 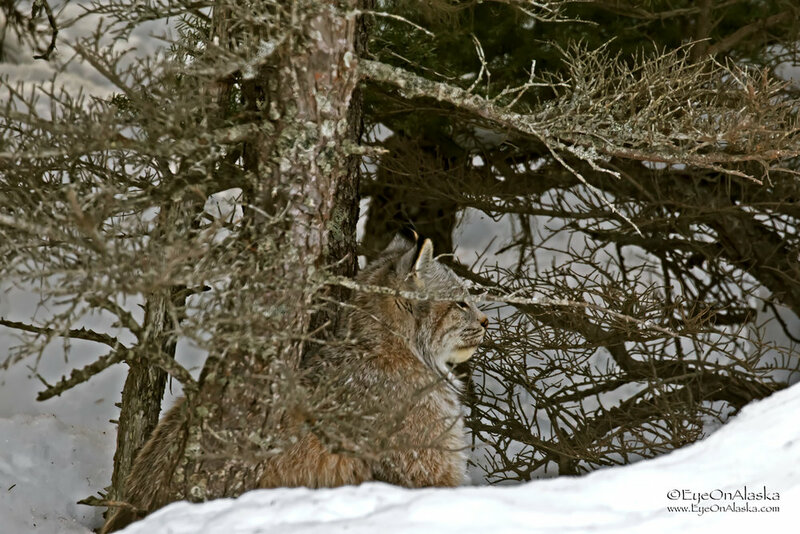 We've had a lynx family hanging around Bear Valley all winter, with lots of sightings. I've had people call to tell me they're in their yard and I've grabbed the camera and rushed out a couple of times, but never have caught sight of them. About 1 pm, Devany yells from downstairs "grab the camera, backyard!!!" I got out on the deck just in time to see this little female sitting in the trees right behind the house. From a pure photography standpoint the conditions were terrible, but who cares. It's a freaking Lynx in our backyard. How cool is that? I managed to grab a couple of shots before she headed off into the woods. What a treat!